Presented by the Department of Disability Studies, Faculty of Medicine, University of Kelaniya in collaboration with the Department of Fine Arts, Department of English and the English Language Teaching Unit. 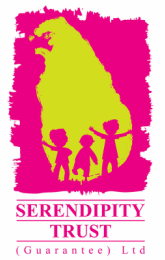 Four inclusive theatre pieces in Sinhala, Tamil, English and Sri Lankan Sign Language. Our aim is to move away from the portrayal of children with disabilities as ‘gifted’ or ‘special in spite of the disability’ or even ‘differently-able’ and move toward inclusive theatre productions where the individual’s unique contribution to the production is appreciated and the collective experience valued. Art session for children with a variety of art projects including a multi-sensory group mural with recycled items, collage and hand and finger-painting connected to children’s storybooks, culminating in a mobile art exhibition. The art activities will be interspersed with children’s drama games. This session will include a presentation of undergraduate poetry in Sinhala, Tamil, English and Sri Lankan Sign Language. In addition, the undergraduate students will undertake simple small group poetry activities with children. This session will end in a ‘poems for sale’ presentation.